The sweet porridge made of milk, sugar and rice offered in ambalapuzha sree krishna temple otherwise called Amabalapuzha Pal payasam. .The quantity of palpayasam to be made at the temple will be increased from 150 litres to 200 litres on Thursdays, Sundays, and on Vishu and Ashtami Rohini. The advance booking of palpayasam has been limited to 110 litres on�these days, and to 90 litres on other days .. .The temple devasom authorities of sree krishna temple can be contacted at the following telephone number landline: +91- 477 -2272090 Those who have complaints about the quality of palpayasam can contact the Devaswom Board Vigilance SP through his e-mail id sptdbvig@gmail.com. .
Home Page ][ Things to do in Alappuzha ][ Search ]. .
also called Dwaraka of the South. One of the oldest temples in kerala . Established during 15-17 AD by the ruler of chempakasherri , Sri. Devanarayan. Chembakasherri was later renamed as Ambalapuzha. 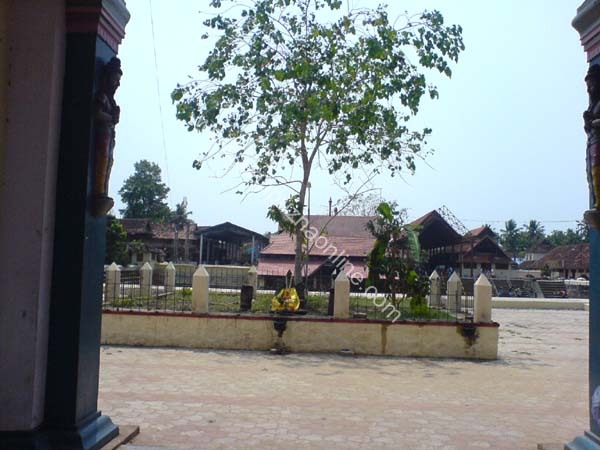 How to reach ambalappuzha temple: Ambalapuzha is a small town about 13 kilometers from alappuzha town beside NH 47. The temple is situated about 1.5 kilometers east of the town junction. The presiding diety is parthasarathi some mention it as gopalakrishna .. .